You can purchase homes and condos with subprime mortgages. 1. How Much Do I Qualify for With a Mortgage Loan? Subprime mortgages, which carry higher interest rates than conventional home loans, can be used to purchase houses and condos. Lender requirements for condos are typically more restrictive than those for purchasing a single-family home. A subprime mortgage is not only for those with bad credit: It is also a type of non-conforming mortgage that can be utilized when a buyer does not meet the conforming loan guidelines followed by Fannie Mae and Freddie Mac. Freddie Mac and Fannie Mae, which are government-sponsored enterprises, can only purchase home loans that do not exceed a maximum loan amount determined by law. These maximum loan amounts are known as the conventional or conforming loan limits. Conforming loan guidelines extend beyond loan limits and include minimum credit score, loan-to-value ratio, debt-to-income ratio and verification documentation. If your home or condo purchase does not meet these conforming guidelines, you will have to use a non-conforming loan for your financing. A subprime mortgage is one type of non-conforming home loan. To buy a house with a conforming home loan, your application must adhere to the Freddie Mac and Fannie Mae guidelines. A loan for a single-family house cannot exceed $417,000, except in designated high-cost areas, where the limit is $625,000. Your debt-to-income ratio cannot surpass 45 percent and you normally need a down payment of 20 percent of the home price. You must have a credit score of at least 620 to qualify for conforming loans, but if your score is below 660 it may take additional time and documentation to receive an approval. If your score is below 740 you will also pay a higher interest rate. You must meet all of these requirements to qualify for a conforming loan. 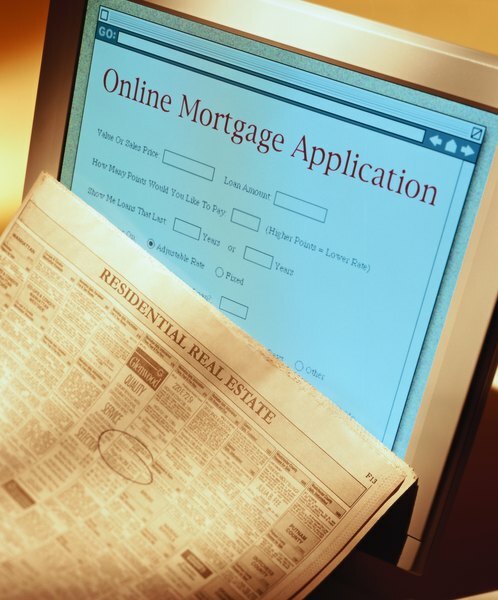 Otherwise, you will need to apply for a non-conforming or subprime mortgage. In order to qualify for conforming financing, condos must meet the house buying criteria and be warrantable, which means they must conform to additional guidelines specific to condominiums. No one person, such as the developer, may own more than 10 percent of the units in an existing condo community. All units and common areas must be finished and the condo owners must have control of the homeowners association. If you are buying the condo as an investment property, 51 percent of the units must be primary residences or second homes. For new condo communities, the project must be "substantially complete" and one person may not own more than 30 percent of the development. The prospective property's condo association dues must be at least 85 percent current. If you want to buy a condo that fails to meet all of these requirements, you will need to apply for a non-conforming or subprime loan. Non-conforming loans, called jumbo loans, are not subprime, but the qualification guidelines are similar to those for conforming loans -- except for the higher loan limits. You will likely need to apply for a subprime home or condo loan if you need a higher loan-to-value ratio, have credit issues, documentation problems, a high total debt load, bankruptcy in the last few years or a debt-to-income ratio higher than 45 percent. While the interest rate you pay on a subprime mortgage will be higher than that on a conforming loan from a GSE or an A-paper jumbo loan, the guidelines for homes and condos will be more flexible as there are many private lenders providing subprime mortgages.